This is a die-cut Mack Truck porcelain sign. 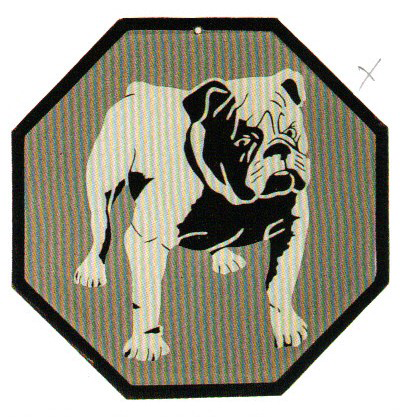 This particular Mack Truck sign is gray with a white bulldog in the center. There is no text.